Well, I've previously written two articles that have mentioned those Masons who have served the United States as President, but I have not honored those who served as Vice President. Out of the 47 Vice Presidents, 18 of them have been Freemasons. He served as the 4th Vice President and the first to die while in office. He served under Presidents Jefferson and Madison. He had previously served as Governor of New York, member of the Continental Congress, and General during the American Revolution. It is unsure when he was initiated into Masonry, but it is appears to be a member of Warren Lodge #17 in NYC where he served as Worshipful Master in 1800. Ebridge Gerry served as the 5th Vice President and also died while serving for President Madison. He was a Signer of the Declaration of Independence, a delegate to the Continental Congress, and Governor of Massachusetts from 1810-1811. Although it's not something to honor, he is most well-known for what we know today as "gerrymandering" which is the practice that attempts to establish a political advantage for a particular party or group by manipulating district boundaries to create partisan advantaged districts. This term came about as a result of Governor Gerry's redrawing of Massachusetts state senate election districts, in the shape of a salamander, which would benefit the Democratic-Republican Party. It is believed that he was a member of Philanthropic Lodge of Marblehead, MA, but the records of this lodge are missing from the period 1760-78 when he logically would have been initiated. He served as the 6th Vice President under President Monroe. Previously he had served as a member of the House of Representatives, an Associate Justice of the US Supreme Court, and as Governor of New York. He was made a Mason in Hiram Lodge #72 in Mt. Pleasant, NY, on Feb 3, 1800. After the Lodge closed he was admitted as a member of Salem Lodge #74 in Westchester County, NY. He served as Deputy Grand Secretary, Grand Secretary, and Grand Master of the Grand Lodge of NY. He was a member of the Royal Arch Masons and Knights Templar. He was an honorary member of Morton Commandery #4 in NYC. He received the 32° on Nov 8, 1808. 5-years later he received the 33° at the hands of the Provisional Supreme Council and was immediately elected as the first Sovereign Grand Commander of the newly formed Supreme Council of the Ancient & Accepted Scottish Rite, Northern Masonic Jurisdiction. He served in this office until his death in 1825. He served as the 9th Vice President under President Van Buren. He previously served in the House of Representatives and the US Senate. In the electoral vote for Vice President in 1837, no candidate gained a majority in the Electoral College, and the election was thereby thrown into the Senate. He came out the victor and is the only Vice President to be elected by such means. The dates into which he entered Freemasonry are not known, but he is known to be a member of Hiram Lodge #4 in Frankfort, KY. He is listed as a Past Master in the records of the meeting of Oct 1, 1806, and demitted in June 20, 1808. His name appears as member and Past Master in the records of Mt. Vernon Lodge #14 in August of 1807. He is also listed as a member of Mt. Vernon Chapter (later renamed Georgetown Chapter #13), Royal Arch Masons, in Georgetown, KY. He served as the 11th Vice President for President Polk. He also served as Mayor of Philadelphia, US Senator, Minister to Russia, and Minister to Great Britain. He was initiated into Franklin Lodge #134 in Mar 21, 1818, in Philadelphia, PA. He served as Master of this Lodge in 1820 and 1821. He served the Grand Lodge of Pennsylvania in 1835. Most likely due to the anti-Masonic crusade sweeping through the United States the Franklin Lodge closed its doors and when it reorganized 14-years later he did not rejoin it. During the anti-Masonic years he was actually called to a hearing to testify against the Masonic fraternity. He refused to be sworn in and the inquisition failed. He attended the May 1, 1847, Masonic cornerstone dedication of the Smithsonian Institution. There are records of his further Masonic activities. He died on New Year's Eve 1864 and the Grand Lodge of Pennsylvania held a memorial service for him in 1865. He served as the 13th Vice President where he died in office from poor health while serving under President Pierce. He also served in the House of Representatives, US Senate, President Pro Tempore of the Senate, and Minister to France. He was a member of Phoenix Lodge #8 in Fayetteville, NC. He was Initiated in April of 1808, May 5, 1809, and Dec 15, 1810. He served as the 14th Vice President under President Buchanan. He also had served as a Major in the War with Mexico, Congressman in the US House of Representatives. During the Civil War he would serve in the Confederate Army as a Major General. He also served as Secretary of War under Jefferson Davis until the end of the war when he fled to Cuba and then to Europe, but would eventually return to the States never to enter into politics again. The dates of initiation are unknown, but he is known to be a member of Des Moines Lodge #41 (now #1) on Feb 7, 1842, in Burlington, IA. After his return to America he would become a member of Good Samaritan Lodge #174 in Lexington, KY, in 1871. He was a member of Temple Chapter #19, Royal Arch Masons, and Webb Commandery #2, Knights Templar, both in Lexington and would receive the 33° on Mar 28, 1860. When he died in 1875 he was buried with Templar honors. He served as the 16th Vice President until he ascended to President after Lincoln had been assassinated. He also served as a member of the US House of Representatives, US Senate, and as Governor of Tennessee. He was Initiated, Passed, and Raised in Greeneville Lodge #119 (now #3) at Greeneville, TN, in 1851. He was probably a member of Greeneville Chapter #82, Royal Arch Masons, since he joined Nashville Commandery of Knights Templar #1 in 1859. He received the Scottish Rite degrees in the White House in 1867. Colfax served as the 17th Vice President under President Grant. He had previously served in the US House of Representatives where he served as Speaker of the House. He was Initiated as an Entered Apprentice in Lebanon Lodge #7, Washington DC, on Aug 15, 1856, and the other two degrees were performed by St. Joseph Lodge #45 in South Bend, IN. He served as the 23rd Vice President under President Cleveland. He had previously served in the US House of Representatives. He also served as District Attorney, member of the House of Representatives, and Assistant Postmaster General. He received the degrees of Masonry in the now extinct Metamora Lodge #82 in 1858 in Metamora, IL. He later affiliated with Bloomington Lodge #43 in Bloomington, IL, and served as Master in 1874. He served the Grand Lodge of Illinois as Grand Orator in 1895-96. He was a member of Stewart Peoria Chapter #7, Royal Arch Masons; Metamora Council #38, Cryptic Masons; and DeMolay Commandery #24, Knights Templar, in Bloomington. He served as the 24th Vice President under President McKinley where he died in office. He had previously served as President of the New Jersey Senator. He was Initiated to the degree of Entered Apprentice Mason on July 9, 1867; Passed to the degree of Fellowcraft on Oct 31, 1867; and Raised to the Sublime degree of Master Mason on Dec 8th, 1868, in Falls City Lodge #82 in Paterson, NJ. He was initiated into Cataract Chapter #10, Royal Arch Masons, on Nov 6, 1871, and dubbed a knight in St. Omer Commandery #13, Knights Templar, in the same year. He would become a charter member of Adelphic Chapter #33, Royal Arch Masons, on Oct 13, 1874, and charter member of Melita Commandery #13, Knights Templar, on May 10, 1876. He would become a life member of Washington Commander #1 in Washington DC. He received the 32° of the Scottish Rite degrees in Jew Jersey on Jan 31, 1876. Replacing Hobart, Roosevelt served as the 25th Vice President until he ascended to the office of President after the assassination of McKinley. He was known as the barrel-chested "bull moose" hero of the Spanish-American War and had previously served as Governor of New York as well as Assistant Secretary of the Navy. He was Initiated, Passed, and Raised in Matinecock Lodge #806, Oyster Bay, NY in 1901. He was an honorary member of Pentalpha Lodge #23 in Washington DC. He was present at many cornerstone dedications like the one done for the House of Representatives office building on Apr 14, 1906. 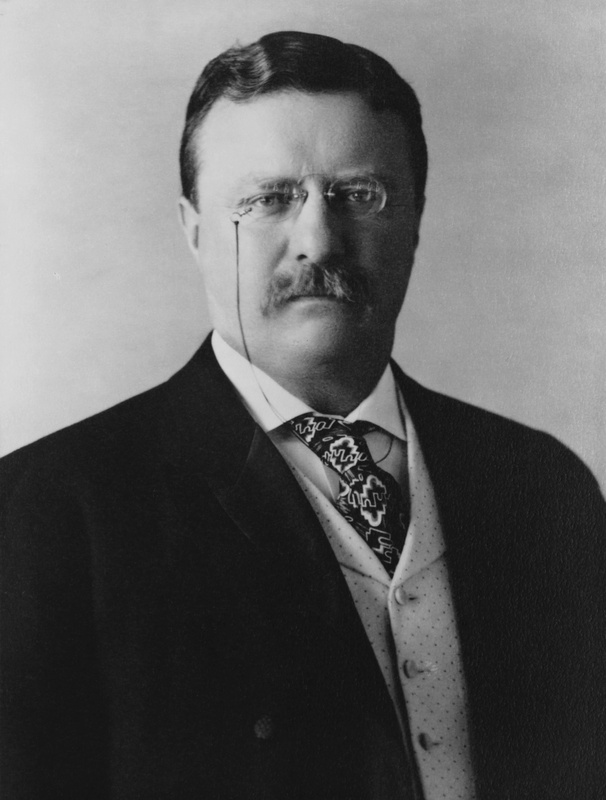 Mr. Fairbanks served as the 26th Vice President under President Teddy Roosevelt. He also served as a Chairman of the Indiana Republican Convention and US Senator. He was made a Mason "at sight" in Oriental Lodge #500 in Indianapolis, IN, on Dec 27, 1904. He was exalted to degree of Royal Arch Mason on Mar 20, 1905, in Keystone Chapter #60 and created a Knight Templar in Raper Commandery #1 on June 26, 1905, in Indianapolis. He received his 32° in Indiana Consistory at Indianapolis on Nov 8, 1905, and a member of Murat Shrine Temple, Indianapolis on Apr 12, 1907. He served as the 28th Vice President under President Wilson. He had previously served as Governor of Indiana. He received the 32° in Indiana Consistory on Apr 19, 1888, and the 33° on Sep 20, 1898, and became an active member of the Supreme Council of the Ancient & Accepted Scottish Rite, Northern Masonic Jurisdiction, on Sep 21, 1911. He served as the 33rd Vice President under President Franklin D. Roosevelt. He had previously been the Secretary of Agriculture and Secretary of Commerce. He received the degrees of Masonry in Capital Lodge #110 in Des Moines, IA, in 1927. He received the 32° in Des Moines in 1928, but would affiliate with the Scottish Rite in Washington DC in 1935. He served as the 34th Vice President until he ascended to the office of President after FDR's death. He had previously served as a US Senator. He was Initiated on Feb. 9, 1909, in Belton Lodge #450, Grandview, Missouri, and, later in that year, he was Raised to the Sublime Degree of Master Mason. In 1911, Truman was the first WM of the new Grandview Lodge #618. He served as Grand Master of Missouri from 1940-1941. He served as Worshipful Master of Missouri Lodge of Research while U.S. President, as well as Masonic Ritualist, District Lecturer, and Deputy Grand Master for several years, buried with Masonic rites in Independence, MO, in televised ceremony. He also received the degrees of the Scottish Rite, eventually getting consecrated as a 33° Scottish Rite Mason. When he visited lodges all over the country, he preferred to be introduced as a Past Grand Master rather than as President. Hubert Humphrey served as the 38th Vice President under President Lyndon Johnson. He had previously been a US Senator and served as Senate Majority Whip. I can find very little of his Masonic affiliation other than he was a member of Cataract Lodge #2 in Minneapolis, MN. It's also believed that he was a member of the Knights Templar so we could also assume with that that he was a member of the Royal Arch Masons, but this has not been confirmed. In a politically turbulent time, Ford served as the 40th Vice President, after the resignation of Spiro Agnew as a result of the Watergate Scandal. He would serve under President Nixon until Nixon's resignation and would ascend to the office of President. He had previously served in the House of Representatives where he served as House Minority Leader. He was Initiated an Entered Apprentice on Sep 30, 1949, in Malta Lodge #465, Grand Rapids, MI; Passed and Raised as a courtesy in Columbia Lodge #3, Washington DC, Apr 20 & May 18, 1951 respectively. He also received the degrees of the Scottish Rite. An amazing post, as always!!! I'm from Brazil Can I have your email? ?I would like to have more info about American degrees and masonic week? Frat.